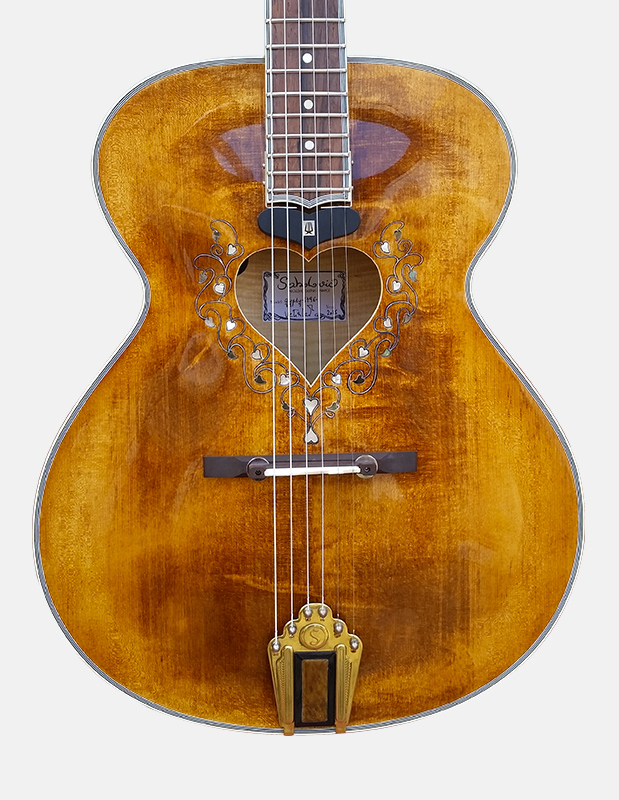 An elegant and an unique design for this acoustic archtop guitar. A real masterpiece, with its hand-made calligraphy around its heart hole. Gypsy heart has a 16′ body but 3′ depth. 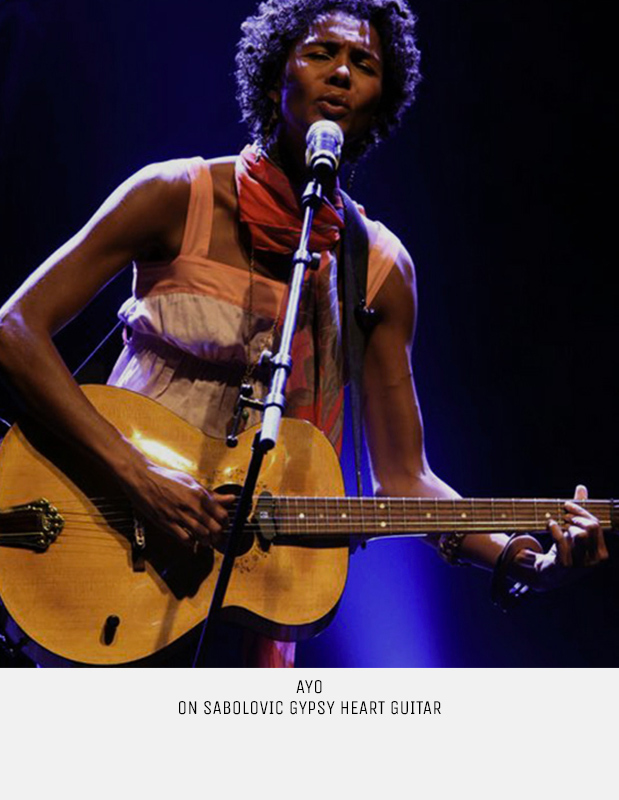 With a X braced soundboard, Gypsy heart is powerful and offer a perfect and ideally balanced voice without amplification. The notes are accurate, the attack is frank and clear. 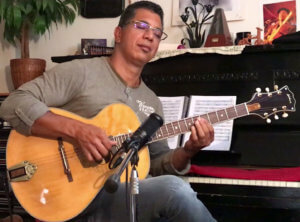 Versatile for many styles and in rhythm or solo. 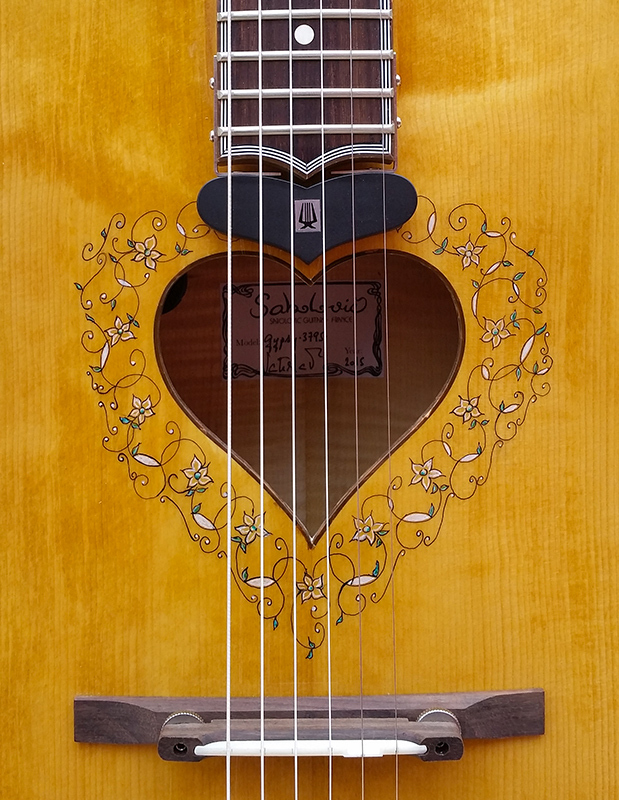 Above its hand-made calligraphy around the open heart, gypsy is fitted with a customized suspended pickup especially developped. 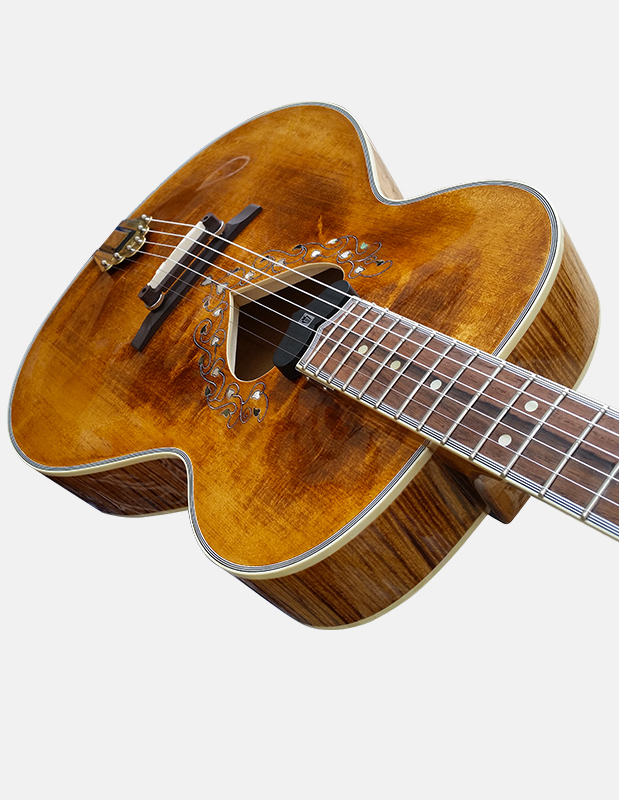 Gypsy heart is only made with our very selected woods and is a reference from our acoustic models. 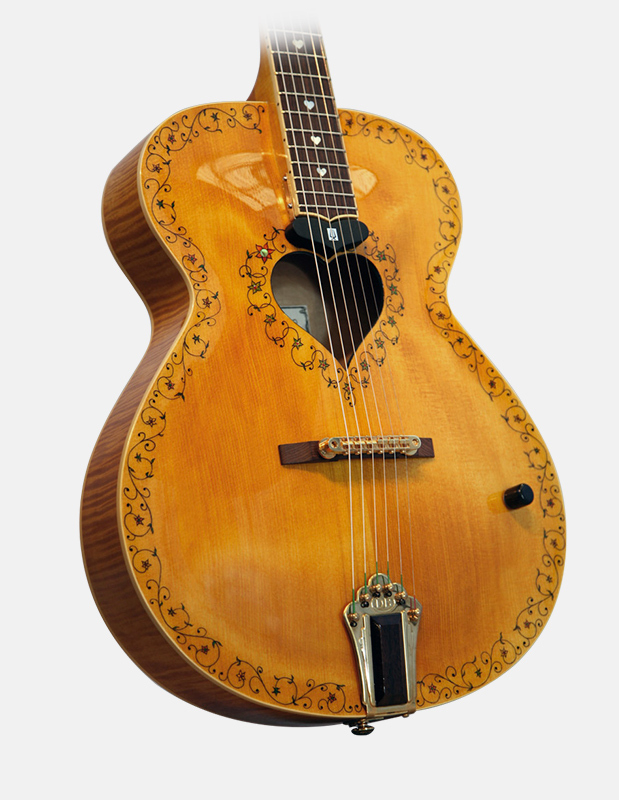 Soundboard: carved, calibrated in massive spruce. Bracing: X Brace in spruce. 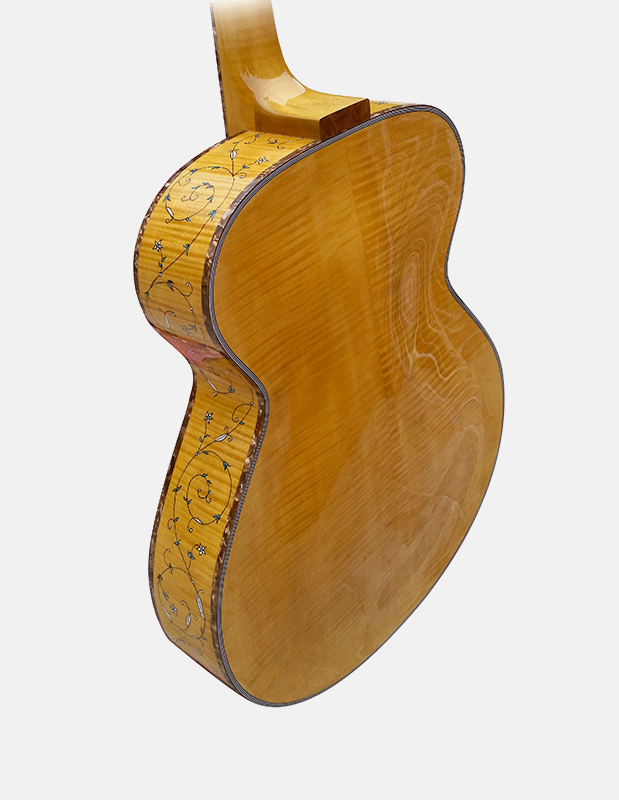 Back plate: Carved in massive maple. Rims: Curly maple, 70 mm. 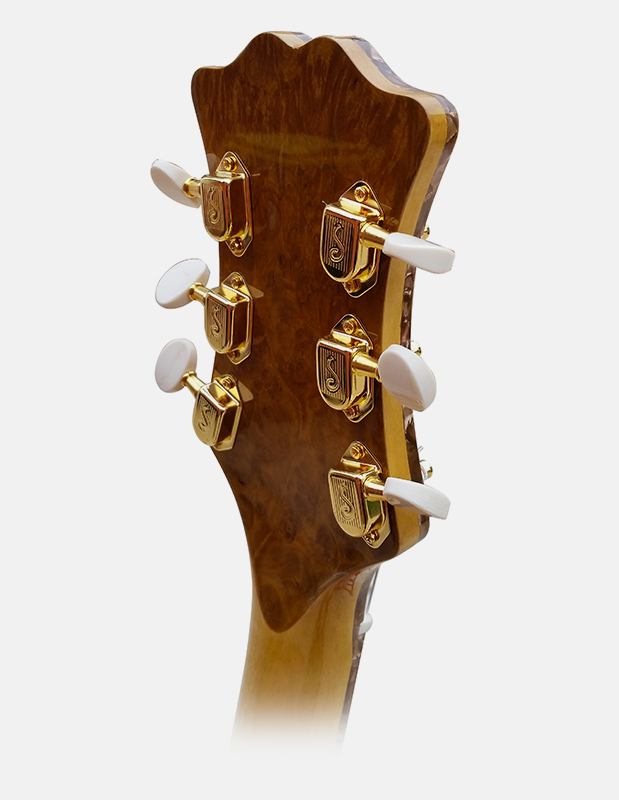 Neck: carved in high grade curly maple. 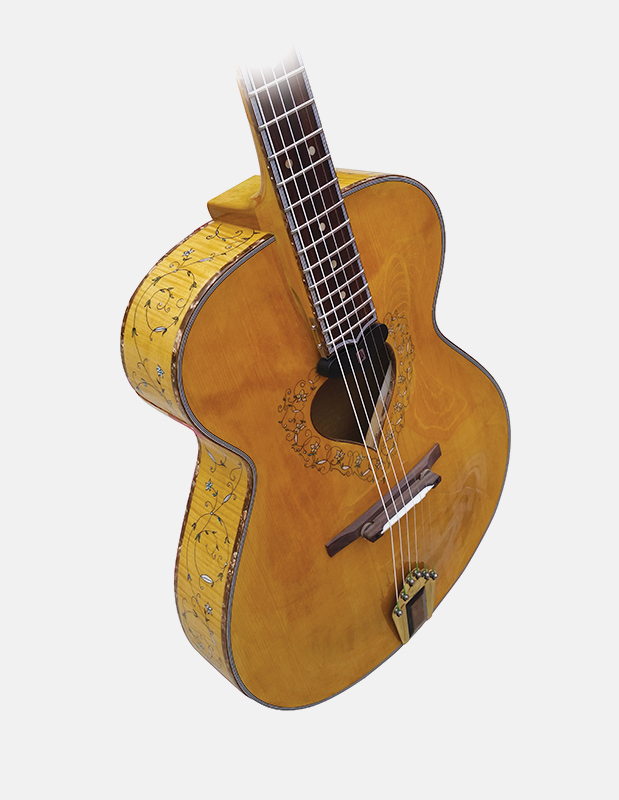 Fingerboard: Ebony or rosewood 12″ radius. 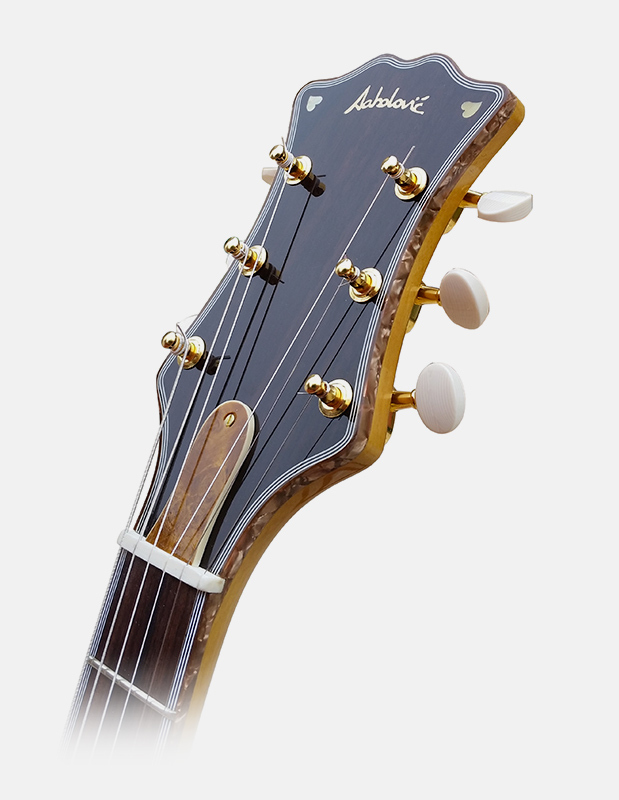 Bridge: Rosewood or ebony with bone saddle. Adjustable. 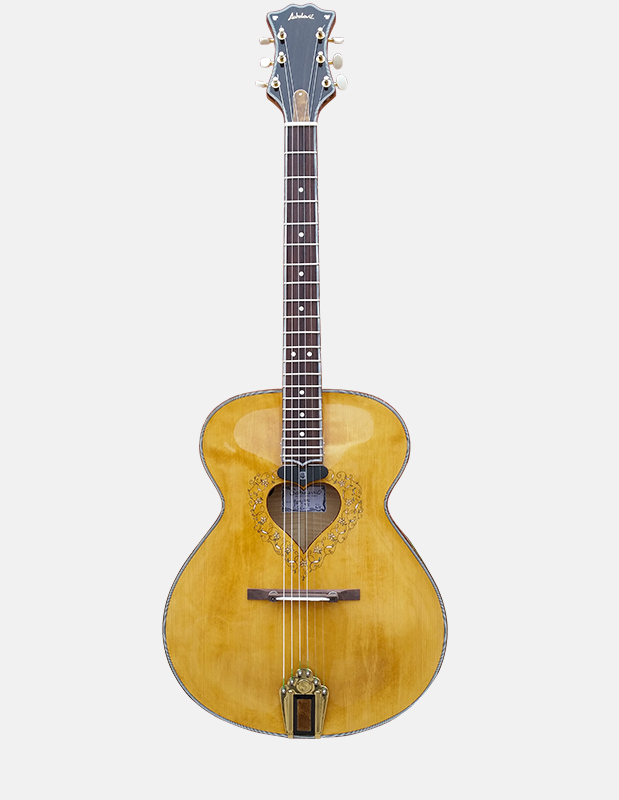 Tailpiece: Copper and rosewood or ebony.